Educational systems must undergo fundamental changes too. On one hand they should meet the needs of our time and prepare new specialists like DNN programmers, robopsychologists, operators of autonomous machinery etc. On the other hand new educational systems should provide retraining for people who lost their jobs. Now the world hasn’t yet developed a clear program on this issue. 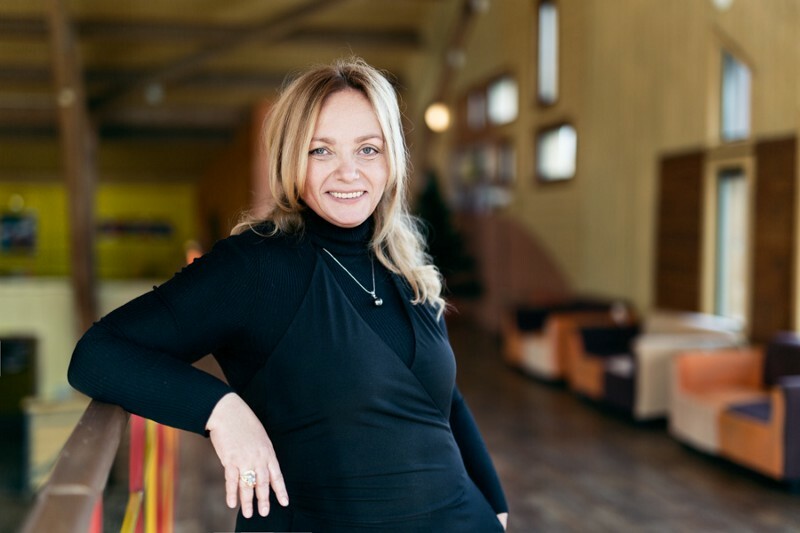 I had the pleasure of interviewing Olga Uskova, a famous Russian entrepreneur and one of the top European experts on AI. Olga is a President and Founder of Cognitive Technologies group, developer of Cognitive Pilot autonomous driving system. My whole family consisted of young and promising mathematicians. My dad was one of the first graduates of the Faculty of Computational Mathematics and Cybernetics of the Moscow State University and he was a programmer in the team that developed the Kaissa chess program (https://en.wikipedia.org/wiki/Kaissa) that later became the world champion. My mom was a cybernetics engineer too. She developed the first software models for bridges development in the Soviet Union. So our house was always full of programmers and mathematicians. Career in AI was an organic continuation of my postgraduate studies too. Moreover, life has been preparing me for this job. My academic advisor and mentor was a young brilliant professor in AI — Mr. Alexander Blishun. He was one of the founders of the Russian Association of Artificial Intelligence and was one of the brightest and most promising scientist and entrepreneurs of that time. In 1991, on the way back from one conference about Artificial Intelligence, he’s got into a fatal head-on collision. A young girl behind the steering of the opposite car dropped her lipstick and a frontal collision happened. That day for the first time I thought about the senselessness and injustice of accidental deaths on roads. The mission began to develop inside of me and by 2012 it turned into a clear plan on creation of AI for autonomous vehicles. Just think about it — 1.3 million people die on the roads each year. For all of us it is just a fact, for each of us it is something very private and personal. Other people’s stories seldom become lessons. We mostly learn from our own mistakes. But life, as a rule, guides us and gives us all the answers. There are always some clues and signs of the Right Path. We just don’t follow them, we listen to them badly and sometimes we don’t even see or accept them. Feelings of happiness and self-realization arise when you understand that you are living your own way and your own life, and not the one that your friends, magazines or coaches imposed on you. Therefore the main rule is to be totally honest with yourself and believe yourself, sometimes in spite of external circumstances. From the entire list of our projects and developments, I would like to highlight the following two very bright and interesting projects: the Cognitive 4D Imaging Radar for autonomous vehicles and the C2-A2 Agrodroid for autonomous agricultural machinery. Our 4D Radar is the world’s first industrial prototype of imaging radar for self-driving cars. It can detect objects at a distance of 300 meters in the range of azimuth angles greater than 90–100 degrees and elevation angles up to 15–20 degrees. The frequency band is 76 to 81 GHz. The size of the radar is just like two Iphones. Cognitive 4D Imaging Radar does the vertical scanning without the use of any mechanical elements. Until now on the autonomous driving market there was no such radar that is ready for a serial mass production. Cognitive Imaging Radar detects not only the coordinates and speed of the road scene objects, but also their shape — just like a video camera does. This is truly the third eye of an autonomous vehicle. Radar works at any speed, in any weather conditions and has the best resolution and accuracy of objects detection — over 97.7%. In addition, radar supports the SAR tech (Synthetic-aperture radar) that is used to recreate the environment around the vehicle. This technology uses the radar and on-board computer of the vehicle to build a map of the environment around. The C2-A2 Agrodroid is an industrial model of the universal control system for autonomous agricultural machinery. It’s an artificial brain that is equipped with a cradle — a cross functional device for fast connection with different agricultural machinery: harvesters, tractors, sprayers and others. Installation of the Agrodroid makes any harvester or tractor autonomous and any agricultural activity smart. Supplying the solution with a cradle makes it possible to move this artificial brain from one machine to another without purchasing a new system each time. The key innovation of the new product is the state-of-the-art Convolutional Neural Network that was modified by our team for agricultural purposes and tasks. An important feature of the new product is a complete safety of all the fieldworks. In comparison with the existing autonomous driving systems for agricultural machinery, which are GPS-based, the neural networks based Agrodroid opens a new class of systems that is able to protect equipment and people from all possible collisions. Unlike other analogues that use expensive laser scanners (Lidars) and stereo cameras, Agrodroid’s computer vision system is able to achieve similar results with the use of just one single video camera. And the use of just one sensor, not 3 or 4 as proposed by other manufacturers, allows to reduce the cost of the whole solution by 3–5 times. These people are the men of my family. My son: In 1997, my business was on its first developing stage. I was working non-stop and I had a chance to see my son only during the weekends. The night before Christmas we had a terrible disaster — our house burned down. It all happened very quickly. We only managed to save our dog and cat. All our belongings and the boy’s toys burned right before the holiday. We left our place and spent the night at a friend’s apartment. During the whole disaster my 9-year-old boy always tried to encourage me and even tried to help. When we finally went to bed and closed our eyes, we both pretended to be asleep, but we were not. When he thought that I was asleep — he started crying quietly… For me this was an unprecedented example of courage and care about the feelings of a loved one. Later, during other hard moments of my life, I always remembered that night and knew what to do. My husband: When in 2015 our C-Pilot international project got big — my health started failing. I worked almost 24/7 in all time zones, coursing between our European, US and Asian clients. I had very long and hard flights and tough negotiations. As a result I had bronchitis and insomnia. Then my husband took me on a mountain trip and there the two of us tried a very difficult walking route. It was really hard. Sometimes it seemed to me that I wouldn’t make it. But then I had a second wind, and then athird breath and I realized that I have vast resources and strength; I just need to use them properly. My husband helped me to examine and open myself. a) Deep Neural Networks, which are used as one of the basic tools in development of modern artificial brains. This technology appeared to be a real revolution in mathematics and programming. With DNN humanity has moved from straightforward logical programming to heuristic methods, and it allowed aiming at the creation of Artificial Intuition. Cognitive Technologies became a pioneer in this business by presenting our Cognitive Artificial Intuition for autonomous vehicles at CES-2018. b) Development of data collecting sensors (perception). For example, imaging radars can now do the 4D scanning (3D picture in motion) and this basically makes the road scene a completely predictable and safe space. c) Achievements in the field of AI Psychology. They allow us to declare the possibility of creating a safe and positive AI model in the future and the harmonious interaction between humans and robots in the mixed society. d) Developments of AI in medicine. They already allow us to organize and classify separate knowledge that is necessary for diagnosis and treatment. e) Introduction of AI into financial and legal institutions. This allows us to make processes in these spheres more transparent and less dependent on various human factors. This is important for reducing the corruption level. a) Humanity hasn’t yet put a ban on the use of AI technologies for military purposes. This leads to a very serious inequality in the army forces of different countries and can provoke aggression. · Second Law: A robot must obey the orders given it by human beings except where such orders would conflict with the First Law. This state of the world, without unified moral code, can lead to the loss of control in a situation when AI will evolve to self-awareness, self-determination and self-reproduction. c) The mixed ‘human-robot’ society formation period can be characterized by high social tension. For many people this will lead to unemployment and change of their status. In my opinion, governments nowadays don’t pay enough attention to this problem. d) Educational systems must undergo fundamental changes too. On one hand they should meet the needs of our time and prepare new specialists like DNN programmers, robopsychologists, operators of autonomous machinery etc. On the other hand new educational systems should provide retraining for people who lost their jobs. Now the world hasn’t yet developed a clear program on this issue. e) During the period of mass robotization and automation, humanity must preserve its creative and emotional background. We should never forget how to create and understand the art works. We should not lose our superiority over computer program in the field of art. My position about this issue is closer to the Musk’s, but not that emotional though. I can see the mad speed with which the AI sphere is developing these years and I see that people have no time to comprehend and optimize what is happening, they just simply follow this very strong revolutionary scientific and technical flow. A year ago Cognitive Technologies group announced the official declaration for the next 10 years — All of our new products in the field of AI won’t be involved with any military orders and developments. Our innovations can be used only for peaceful purposes. We do understand that we have closed a huge and a very profitable market for ourselves. But… We all have children and grandchildren and we want them to live under a peaceful sky. I’m sorry and disappointed that Google hasn’t made such a decision yet, but all of us were happy to hear that ‘more than 4,000 Google employees recently signed a petition protesting a $9 million AI contract the company signed with the Pentagon. Now we are talking with our colleagues and partners in other countries to sign a joint charter of ‘Peaceful AI’. What we produce — an artificial brain for cars — definitely frightens ordinary people. A common and familiar way of living collapses. Human’s role as a mediator in the most important life processes vanishes. You need to move from point A to point B? — You no longer depend on the availability and professional qualities of your driver. You just need to get into the vehicle and move. At the same time, the security level of such autonomous systems is already higher by 38–40% than of human-involved ones. Now the most important word is ‘Trust’! The same situation happened when humanity switched from a carriage to a car, flew into the sky etc. For us, developers of new technologies and services, and for governments, the main task is to think not only about the billions we can earn, but also about how to make this revolutionary transition as convenient and safe for the average people as possible. I mean the maximum openness and transparency of technologies, conducting special lectures, testing facilities, etc. It happened that along with the AI project for autonomous vehicles, I’ve quite randomly purchased a very unique collection of abstract paintings of the 1960s. These painters worked using a special technique called ‘The Theory of Universal Contact’ (http://ruabstract.com/en/theories/contactness). It’s a special session based on the drawing practice developed by scientists, psychologists and neurolinguists to promote consciousness and stimulate additional possibilities of human intelligence. We have restored this method and formed a unique course for our employees called ‘The New Reality’. The results are just fantastic! Also two years ago we took under our patronage a kids club for children with cerebral palsy. And now we can confidently say that several of our little colleagues have made significant progress in socialization and also improved their health with our creative help. This is one of the brightest and greatest personal achievements for me. I often study and paint with these kids too. And feel like I’m a very happy person. 1) Pay a careful attention to everything related to the area of Deep Neural Networks. This is a new sphere with a lot of blind-spots. In my opinion, quite a number of Nobel prizes are yet to come in this area. 2) Go beyond of just one discipline. The current trend is cross-discipline. A good specialist must be good in fusing math + biology + psychology + physics etc. The science structure is changing revolutionary, and none of these disciplines will stay within their bounds. 3) In the nearest future there will be a high demand on philological careers in the area of AI. We will need philosophers and psychologists to formulate the new rules of behavior of living in the mixed society. It’s a very important challenge, and women will be irreplaceable in this sphere. I don’t think there is a need for any special actions and events for this, it’s already happening by itself. During such revolutionary transitions the role of women grows a lot in all the key processes, as they possess a very positive and creative vector. Developing and training AI basically means bringing up the new younger neighbors and helpers that are made not from protein, but from silicone. And here the women’s historical experience is vital. The percentage of girls focusing on neural networks has doubled in our company in recent years. There is a brilliant Russian writer — Victor Pelevin. And one of his quotes has opened a new perception of the world for me: ‘Love gives meaning to what we do, even though it actually has no meaning’. Only love inside of us makes the world tangible and reasonable. As soon as I realized this, I began to receive so much, so much pleasure and other stuff. I love everything and everyone around me. And that’s why I can say that I’m very rich. I can’t say that I’ve learned how to forgive completely, but this is probably the next stage of my efforts. In Leo Tolstoy’s novel ‘Anna Karenina’ the nature of disputes and quarrels between people is explained by the fact that people fight when they can’t understand what their opponent knows and loves. In our time the level of aggression and stress between people is extremely high, partly due to the fact that the number of people on our planet has increased almost four times in the last hundred years and partly due to the hugely increased information flow over the past 30 years. These nervousness and aggressiveness may become the basis of all the future global catastrophes. So I would create a project where I would show people all the important and good things about their neighbors and colleagues. So people will learn some positive news both about those who are near and about those who are far away and who speak other languages. I would create such ‘bridges of friendship’, letting people know other people’s tastes and letting them learn how to respect and appreciate each other. I think we always fear and hate those whom we don’t know or whom we don’t understand. And I’m already in touch with few famous journalists and TV presenters about the need of such international dialogues in our current new reality.